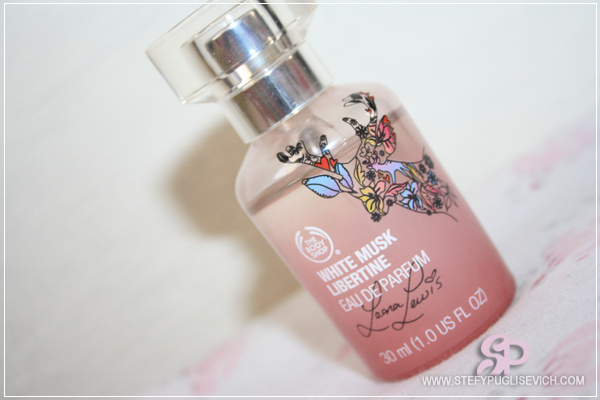 Leona Lewis collaborated with THE BODY SHOP with this amazing new collection that is sold worldwide. I had to pick up something from this collection as it was just too cute and lovely not to. I decided to opt for the Fragrance as I have always been a fan of the "Original White Musk" as both my mum and I like it as it makes me feel grown up and not so much a teen anymore as it's a more mature kind of fragrance. 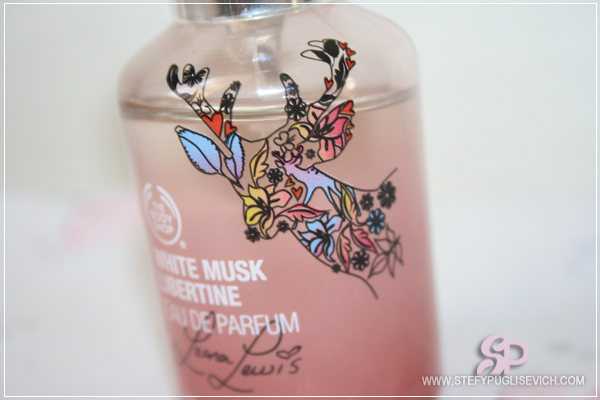 What really caught my eye was the Design of the DEER on the bottle which is designed with beautiful flowers that would symbolize nature. 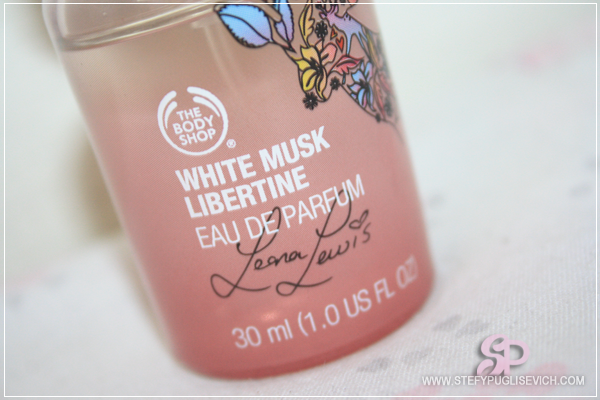 "Our fresh and playful White Musk Libertine in a limited edition bottle by Leona Lewis. This sensual eau de parfum blends cruelty-free musks at its top, heart and base, with sweet notes of Turkish delight, baby orchid and Chantilly cream. Go wild for cruelty-free fragrance!" 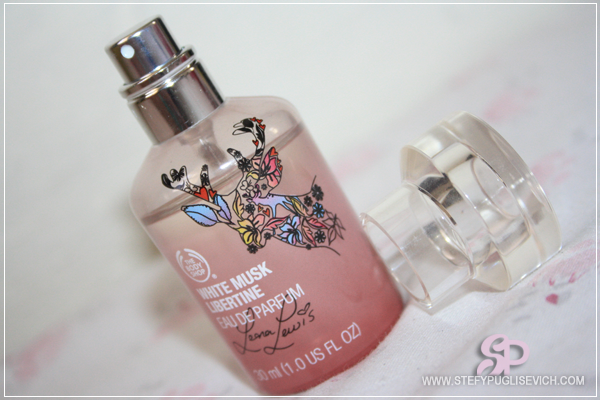 It's scent is strong and it really sweet but it does last on the skin and doesn't fade so quickly. "The composition includes Turkish delight (rose, almond, honey) and whipped cream". I have also noticed powdery notes in this fragrance that lingers into the skin and it feels soft and gives of a cleanliness scent onto the skin.